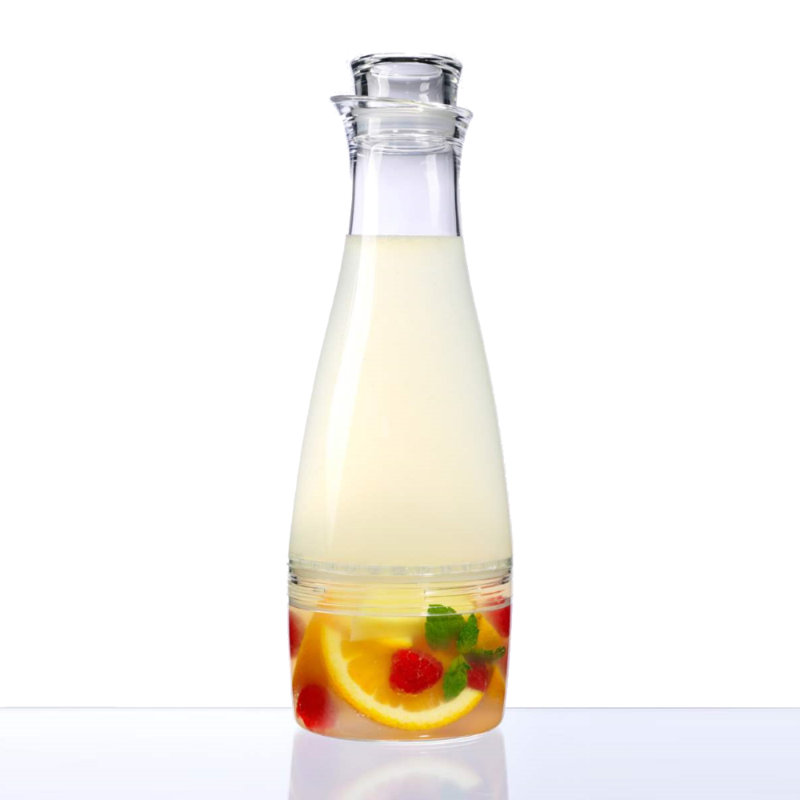 Choose To Infuse® some flavor into your beverage using this Prodyne Flavor Carafe. Product details below. 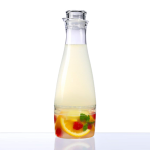 An easy way to prepare and enjoy natural fruit flavored beverages. 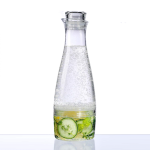 Durable Crystal Clear SAN Polymer. 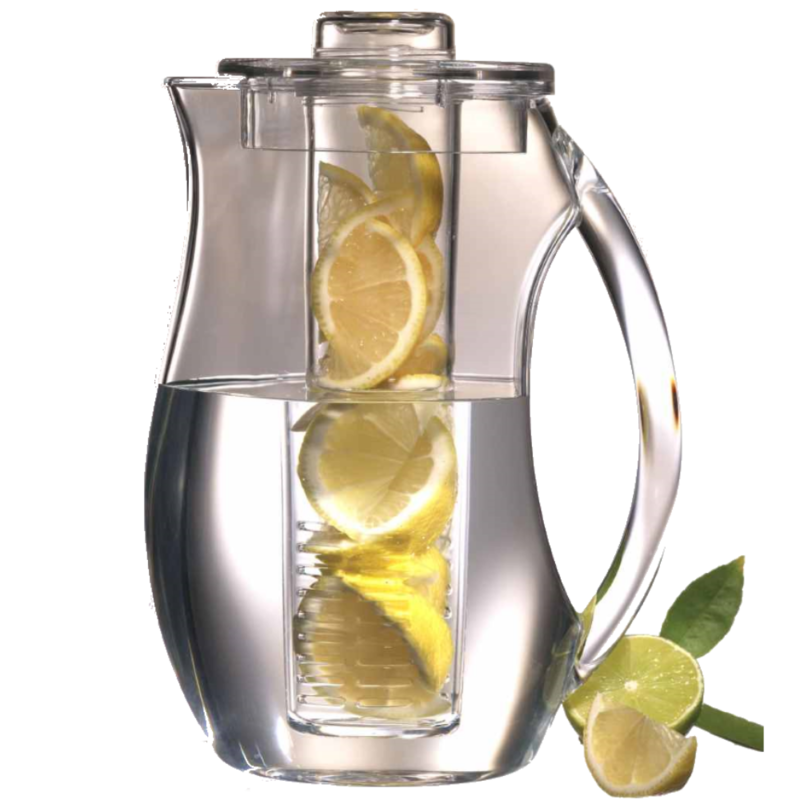 Keep overnight in refrigerator for longer Infusion Time. 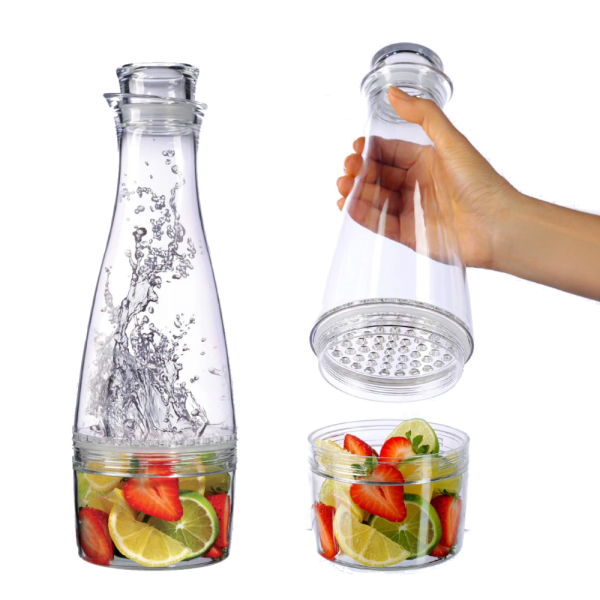 Create your own Custom Infused Water! 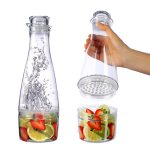 Fill with beverage and fresh ingredients of your choice. Close lid, Shake Gently and ENJOY! Flavors limited only by your imagination. An awesome Infusion Carafe. Simply unscrew the removable fruit compartment at bottom and fill with sliced fresh fruit or vegetables (create unique flavors by combining ingredients). Replace the top section and fill with beverage. 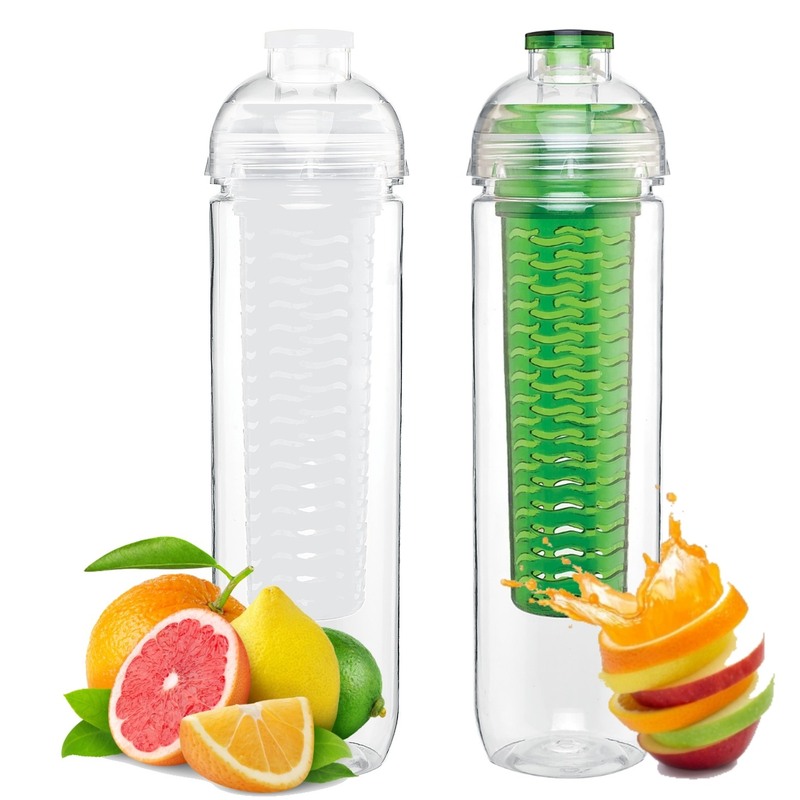 You can refill beverage after each use without always replacing the fruit. 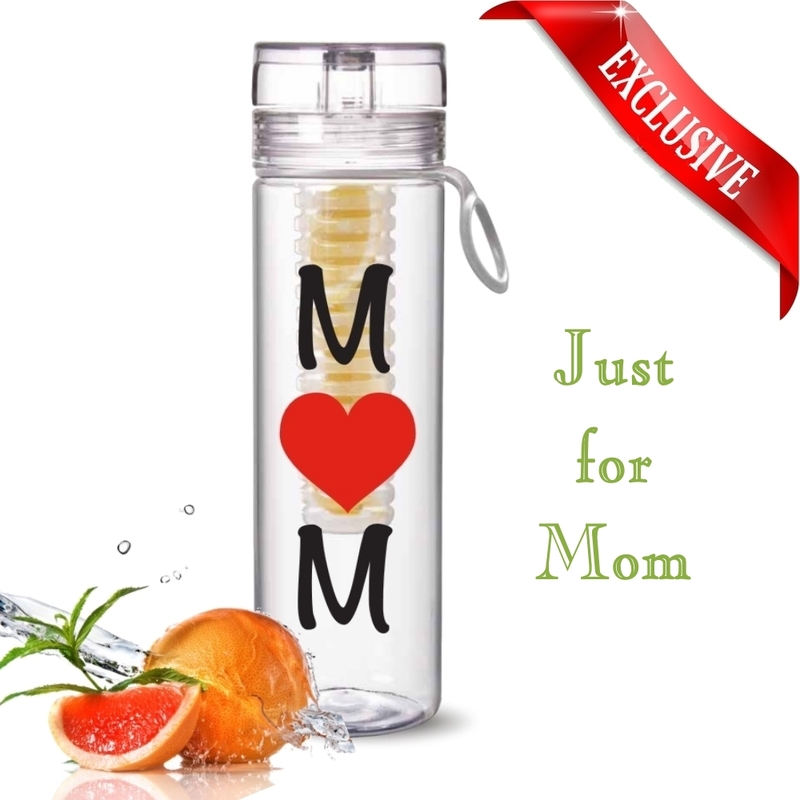 Fruit stays hydrated in bottom compartment and can last for days. Keep in refrigerator (fits on most door shelves). Easy grip cap with air-tight silicone seal. 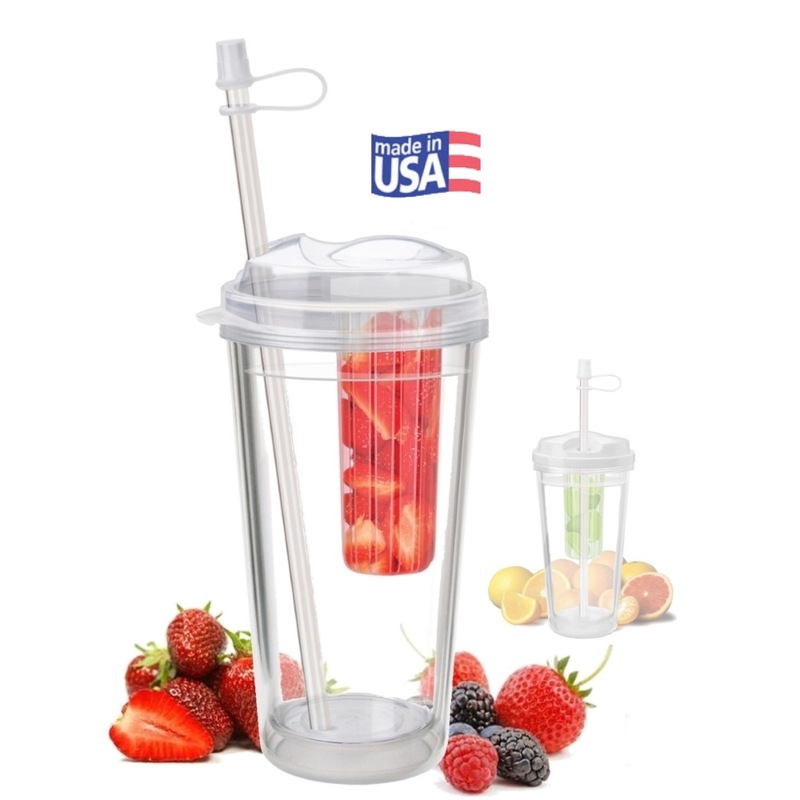 Top section has strainer disc to hold back fruit as you pour. 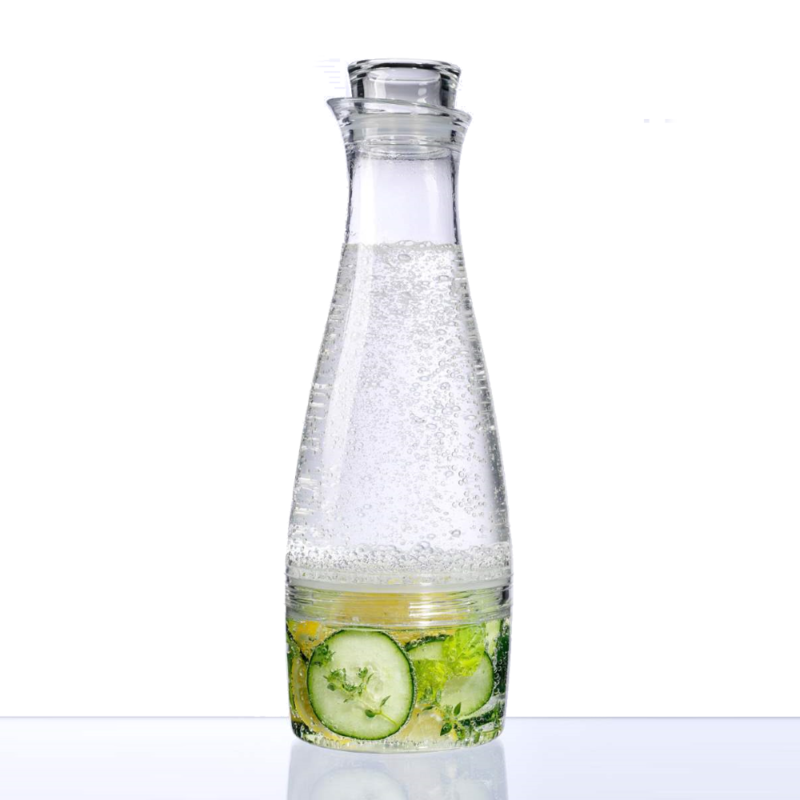 Durable crystal clear SAN polymer, BPA free. 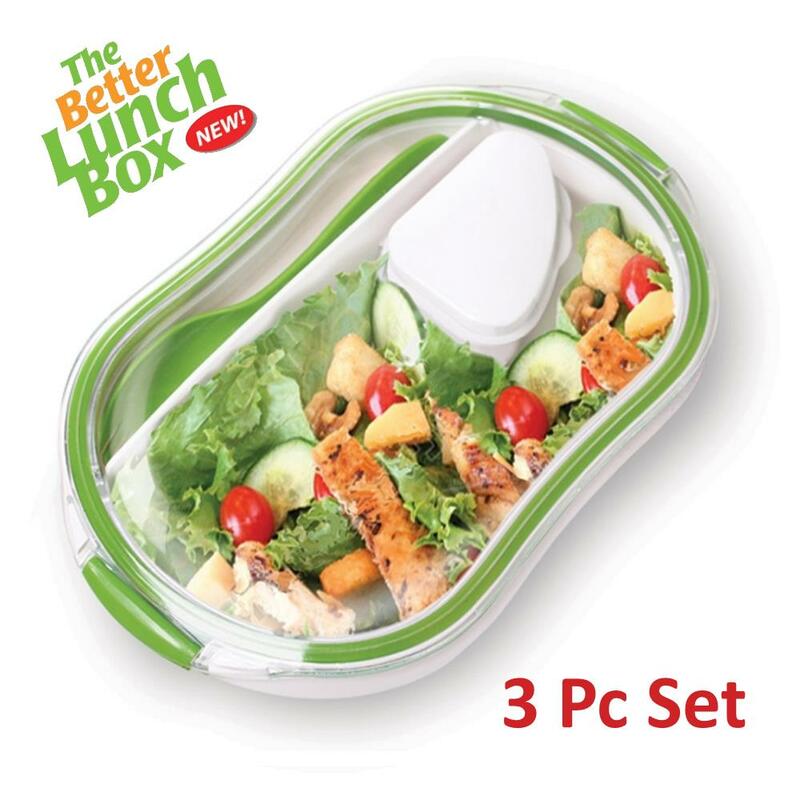 Large family size capacity: 50 oz (1.5 L) Dimensions: 4” D x 12 ½” H.